Steve works every other weekend from 8am-6pm on both the Saturday and Sunday and when he gets home from work on those days we all practically dive on him as we all really miss him. Especially me - the days feel extra long when it's just me and the kids at home. So when Kettler asked us to join in with their #TheBestofTimes campaign which celebrates those people in our lives who are responsible for our best times, we decided to try and see if we could squeeze some extra family time into those weekends and create some extra quality time with Steve. 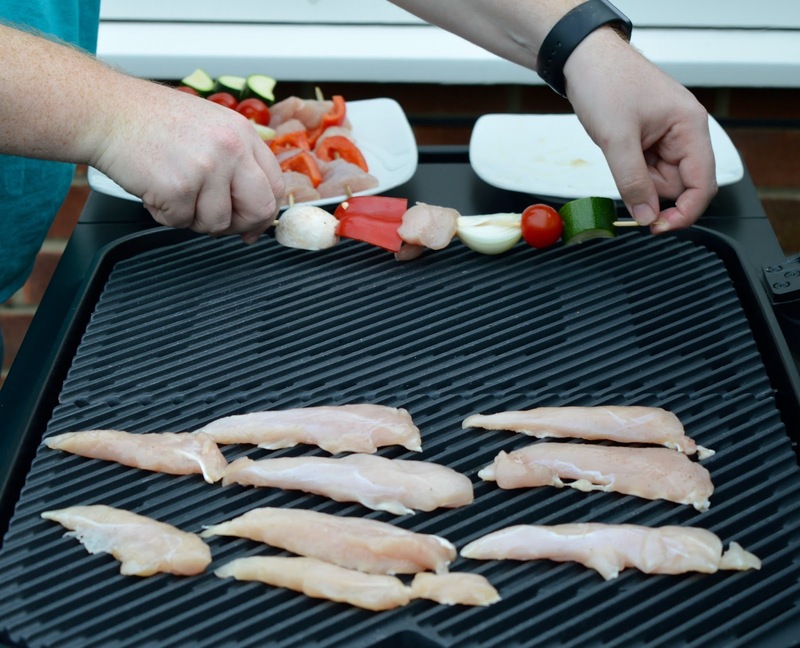 Obviously, everyone knows that we love our food so we decided we'd squeeze in a bedtime BBQ at 6:30pm as soon as Steve was home from work. 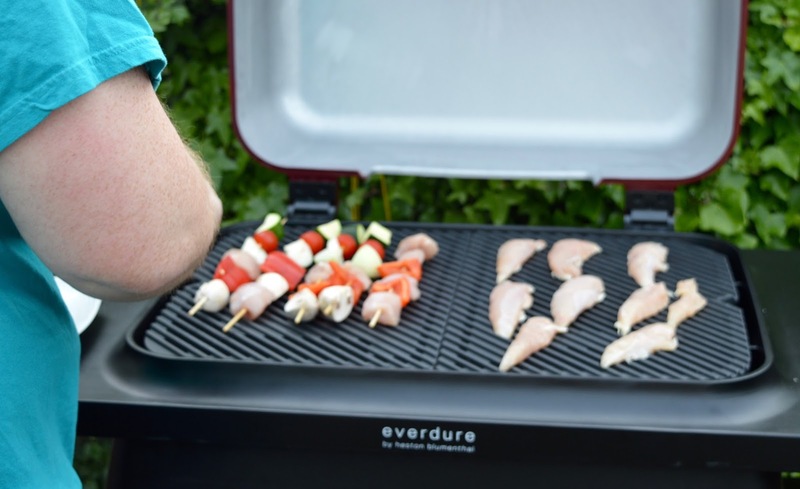 We used our new Everdure by Heston BBQ which really helped to speed the process along. 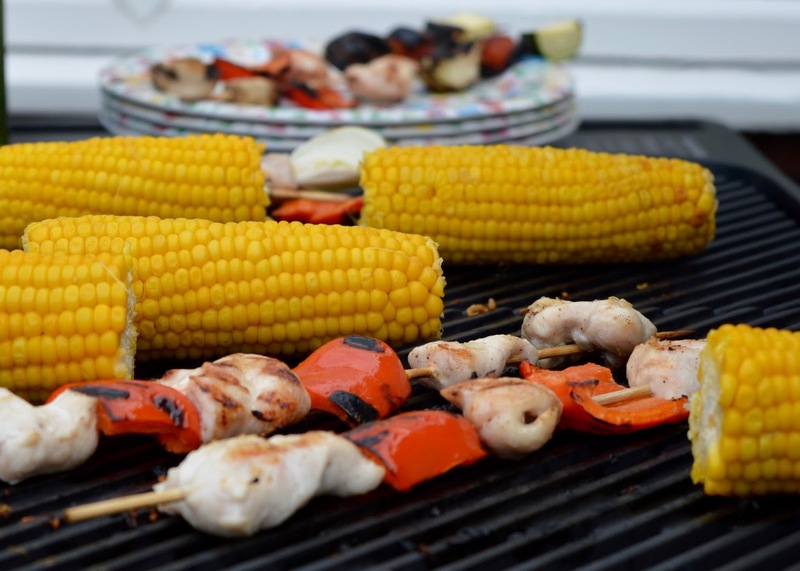 A combination of lighter nights, a huge cooking surface and no waiting for the grill to heat up meant that our barbecue feast was all cooked in under 20 minutes and we were sitting down and enjoying it together before 7pm. 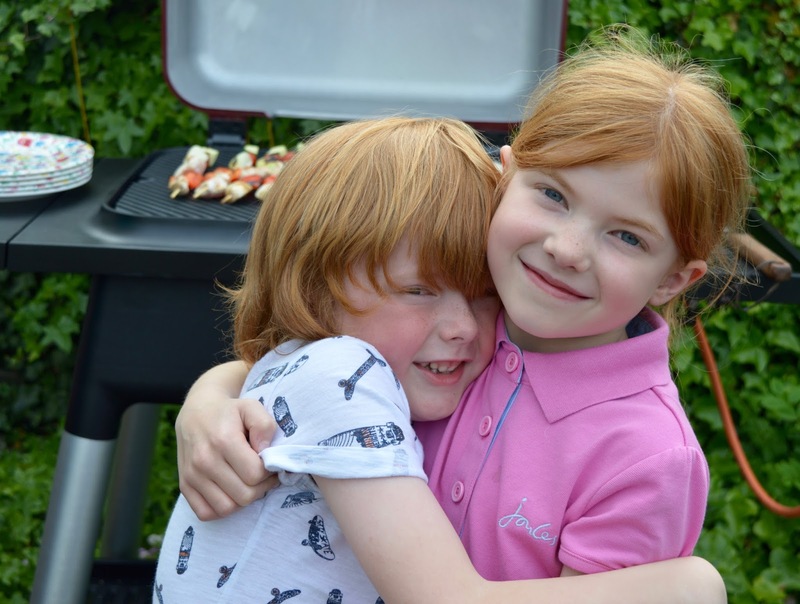 A BBQ always feels like a bit of a treat I think and the kids were super excited that they could work as Steve's (fully supervised) helpers by fetching him plates ect...... from the kitchen. It wasn't quite warm enough to sit outside and eat this time but I know over the next few months we'll be making the most of our time with Steve over the weekend with many more BBQs outside after work - I've already started researching the best Sangria recipes for the next time. 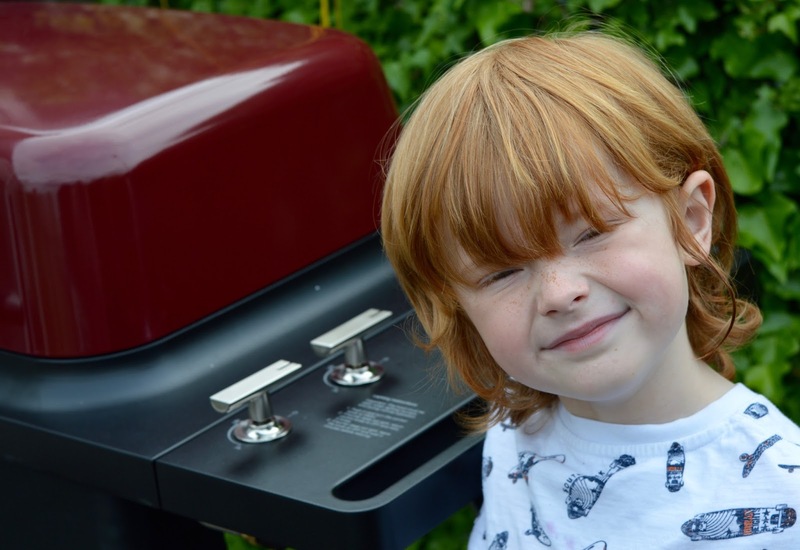 BBQs have always taken a bit of planning in the past. 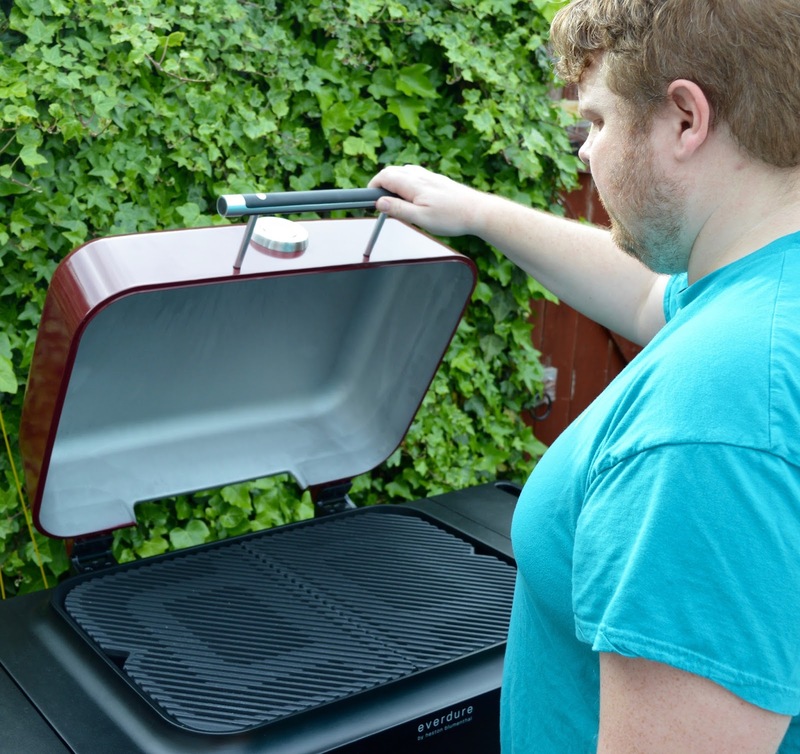 We've always relied on disposable BBQs which we've needed to buy or bucket-type BBQs which we've needed to fill with charcoal and wait to get to the right temperature. It's all a bit of a faff! 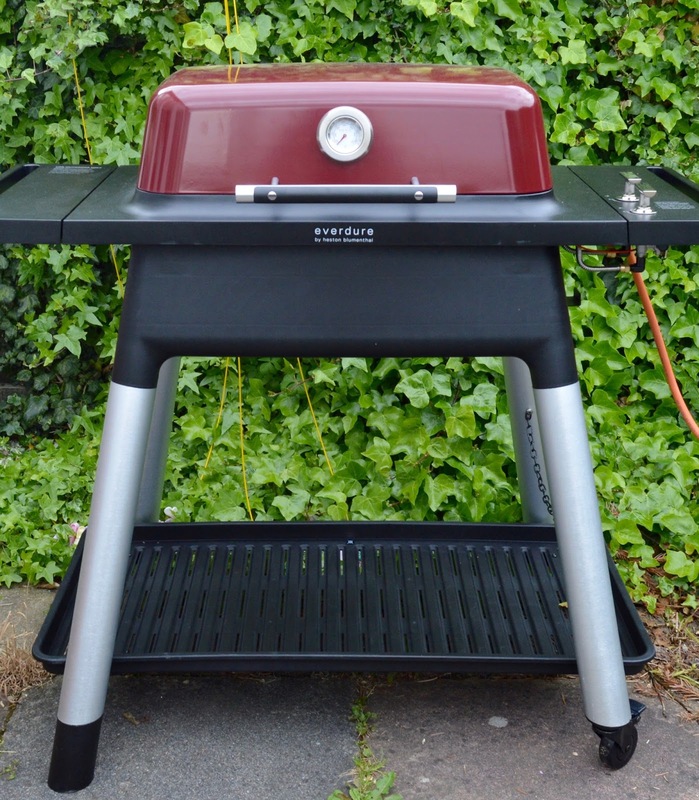 With our Everdure BBQ we just need to turn the gas on and we're good to go. I honestly can't wait for us to make the most of the summer nights with many more BBQs this year. Sometimes it's the little things like relaxing together as a family in the garden with good food after a long day at work that really do make the best of times. 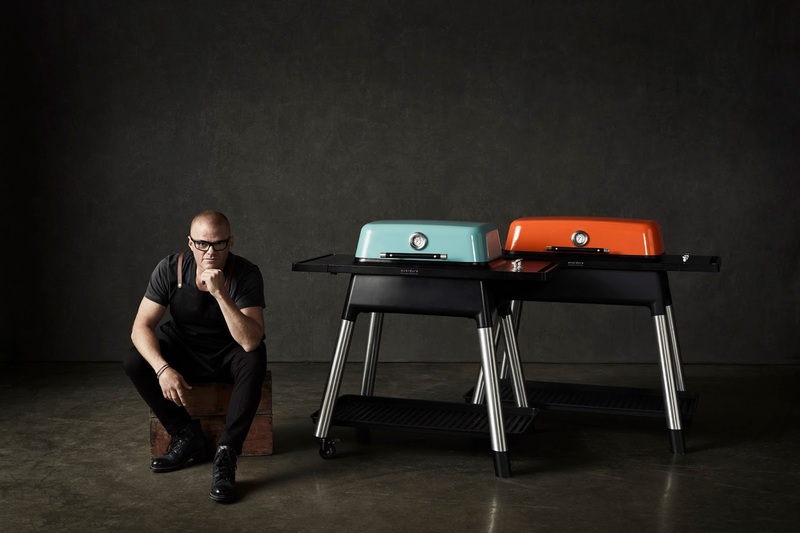 To celebrate #TheBestofTimes , Kettler have provided us with one Everdure by Heston FORCE Barbecue worth £599 to giveaway to one lucky reader. Simply enter via the Rafflecopter widget at the bottom of this post. Good luck! The promoter of this competition is Kettler (GB) Ltd, Merse Road, North Moons Moat, Redditch, Worcestershire, B98 9HL.2 - To be entered into the prize draw, entrants must log into Rafflecopter with either their Facebook account or their name and email address. Once logged in, they will be shown the entry requirements of the giveaway. 3 - By entering into the competition, entrants agree to be subscribed to the Kettler (GB) Ltd mailing list. Entrants can opt out of this mailing list at any time. 4 - Kettler (GB) Ltd will accept entries for this competition from 00.00 on 22/05/2017 and will not accept entries sooner than this time. Kettler (GB) Ltd will close the competition at 23.59 on 04/06/2017. The prize draw will take place on or after this date. 5 - Entrants must be aged 18 or over and be residents of mainland United Kingdom. It is a condition of entry that all rules are accepted as final and that the entrant agrees to abide by these rules. 6 - Entrants must enter the competition in their own name; you may not enter on behalf of another individual. Should you use a false name or email, or use an online user profile that is not linked to a real individual, or has been set up for the purpose of competition entry, you will be disqualified. 7 - Any person that is: (a) an employee of Kettler (GB) Ltd, (b) employed by any agency associated with Kettler (GB) Ltd or (b) an immediate family member of such employees is not eligible to enter the competition. 8 - One winner will be selected at random using Rafflecopter on or after the closing date of the competition.9 - The winner will be contacted via email within 48 hours of the competition closing. Winners who fail to reply to Kettler (GB) Ltd within 7 days of notification will forfeit their prize and another winner will be drawn. 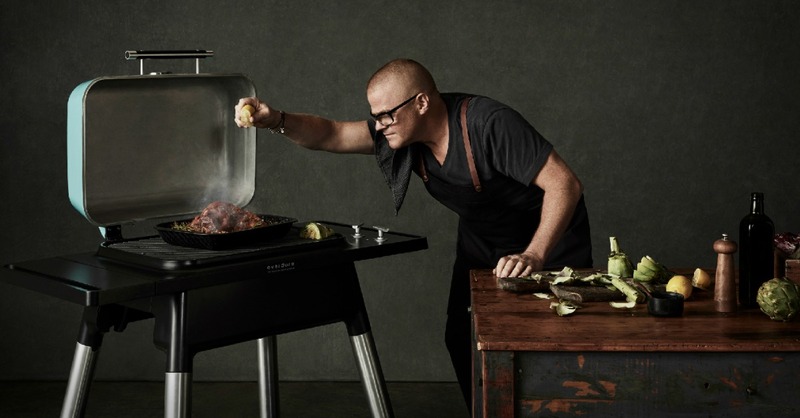 10 - The prize is 1 x Everdure by Heston Blumenthal FORCE Barbeque worth £599(RRP). 11 - The prize includes a standard three year domestic use warranty as outlined on the Kettler (GB) Ltd website at the time of publishing. 12 - Delivery will be provided to mainland UK only as per Kettler (GB) Ltd standard delivery policy. Sprintshift couriers will contact the winner directly to arrange agreeable delivery. The winner will be given a 2 hour delivery slot on weekdays only, from Monday to Friday. 13 - The prize includes delivery within mainland UK, but not assembly or installation. The winning entrant will be required to provide proof of ID and sign for the prize on delivery. Delivery of prize will take place no more than 30 days from confirmation of winning entrant’s delivery details.14 - No cash alternative can be offered for prize.15 - The winner agrees to the use of his or her name and disclosure of county of residence relating to any post-winning publicity. Entry into the competition is deemed acceptance of these terms and conditions.16 - Kettler (GB) Ltd reserves the right to withdraw this offer at any time or amend these terms and conditions without prior notice, for whatever reason, and without liability for doing so. 17 - Kettler (GB) Ltd will always use your data responsibly and only collect, store and process your data in accordance with the Data Protection Act 1998 and the Privacy & Electronic Communications (EC Directive) Regulations 2011. 18 - By opting in to receive marketing communications from us, you consent to receive communications by email. We will store your details securely and will only use them for our own purposes. You provide permission to receive communications from Kettler (GB) Ltd about our products and services, exclusive customer offers, events and promotions. If you wish to have your details removed from our database at any time, please email us at laura.r@kettler.co.uk or call our Customer Care team on 01527 591901. Wow Steve is King of the BBQs! That food looks epic! Where was our invite? :p Next time you get this bad boy out we are definitely inviting ourselves round. I haven't had a BBQ for years and at the moment we have to make do with a buying a disposable one each time we want to BBQ. This one looks beautiful! Family breakfasts in the garden, a great way to start the day. I love playing make-believe with the kids ! Summer days, fresh smell of cut grass, birds singing and a BBQ with friends. A cuppa and digestive biscuit when I arrive home from work! I really enjoy being able to spend time out in our garden with family, It is lovely! I enjoy cutting the grass whilst the little ones are playing on their trampoline then we stop for a little picnic, it is just lovely. For me it's the little things, like all of us going for a walk with our dog in our local woods & watching our girls laugh & chat. 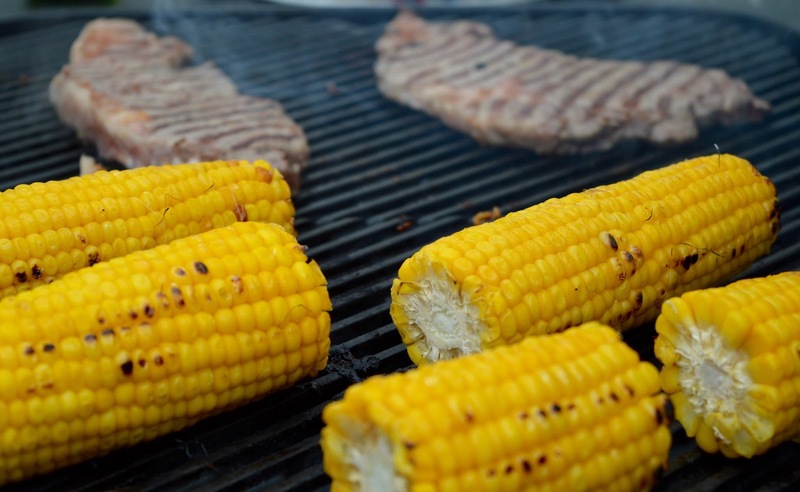 Oh that barbecue looks amazing, it's not often you see BBQ's that actually look good as well. My little thing is a run in the sun with friends! Holidays with the family, a nice time to get away and relax and switch off from full time work. Wish life was always a holiday! Letting the kids stay up late in the summer so that we can look at the stars together on a warm night. Every breath we take is my little thing, never take anything for granted. Having a glass of refreshing G&T in the garden on a long summer evening. Sitting in the garden on a warm day and feeling the sun on my face and the scent of all the flowers. Doing craft with my five-year-old. She is so inventive! I love hearing birdsong in the morning. Yep, even at 4am! being alone with a book and a coffee! #TheBestOfTimes is sat on my local beach watching the yachts , ferries and cruise ships past by. I love this time of year when the weather is nice enough to invite friends round for lunch or bbq's in the garden. It's nice to see everyone relax and enjoy themselves. Sitting in the garden with my family on a warm summers day. Spending time with my great-niece, Mia, who is just 4 is the thing that gives me the best times. The little things that are the best are picnics on the back lawn,and storytime in bed,and watching a child sleep. The little things that bring the best of times for me are when I am sitting in the garden with my 2 dogs having a nice coffee and listening to all the noises summer brings! A glass of Merlot on the patio at dusk on summer evenings. The cats playing with toys. Lying, uninterrupted by kids and in silence, on my bed with a good book! I love reading bedtime stories to my little granddaughter - we have such fun together. Spending time with my little girl and her making up silly stories and jokes that always make us laugh. My 7 year old comes in for a snuggle every single morning-I dread when he no longer wants those snuggles! I have to get up early every day as I have a lot to do in a short space of time. When everything is done, I take 20 minutes to enjoy my first coffee of the day. I spike it with a shot of caramel syrup and play my favourite Facebook game. Spending quality time with all my daughters. When the kids randomly come and give me a kiss and hug. So precious. Definitely champagne in the sun! !